When we think of books, we might think of school, library, free time, etc. It is such a common thing, we just grew up with it, but not the children from Albesti Valley. For them, books are a mystery. They have no idea how to use one, never owned one, never read one, or even opened one. Imagine how in the 21st century there can be people who are not familiar with books! This summer our goal was to make the children from Albesti Valley familiar with books. 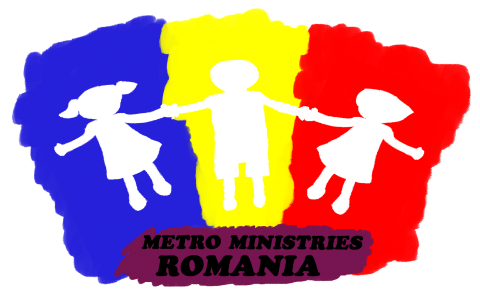 We are working to start in the near future a daycare center for them. There they can come to kindergarten, afterschool programs and just be as everyone else, able to read, write, develop, discover, use their gifts. There will be lots of books and they will need to use them. The “Gigantic book” had a story for each day and each story had a handcraft. The kids made a treasure box, painted it. They got it back at the end of the week with their own color book and daily memories. We challenged them to dream and draw their dreams on a hat. God can makes dreams possible even in an impossible situation. Our dream is to see this community transformed, by giving them hope, God’s love and a future. The 180 attending hardly know their names, ages and even to count to 10. Knowing they are unique, valuable, loved, accepted gives them hope and is a treasure box to each one of them. Traveling back in times, when Esther was chosen as queen and became the role model as a beautiful, wise lady. She contrasted with the other lusty and fashionable girls. Mordecai the faithful servant/ father as well the true loyal worshipper in dry times, was in contrast with Haman: power hungry, greedy, hateful and boastful. These were the roles acted out before the kids and teens from Goldberich, Danes and Saes villages at Geoagiu camp. With dramas, volleyball, workshops, competitions and much fun, the kids felt they had a summer, a vacation, were loved, but also learned they could choose, what and whom we want to be like. Games, competitions and creative workshops were also organized, making the whole event a memorable one. As usual, the camp was organized in partnership with a young Swedish team. We are grateful for their contribution to the programs! Friendship is a much wanted and looked for thing in the teen’s lives. We challenged our teens: to give, reflect in their journals, help the little ones in the kids programs, be an example themselves, have patience and wait for each other, meet the greatest friend of all-Jesus and talk to Him. This camp was a wonderful closing of a summer dedicated to children, teens and families in the communities we work with. The „Step by Step” group was learning to build good, healthy and pure relationships with God, with themselves and between boys and girls. Together with us were contributing in organizing this event our friends from Switzerland, Paola, Julia and Daniel Eicher. The teens were helping out with workshops and activities in Saes and Netus, playing drama and taking responsibilities and learned to reflect on each day on their personal dairy. They were also doing dishes and fulfilled some practical duties.